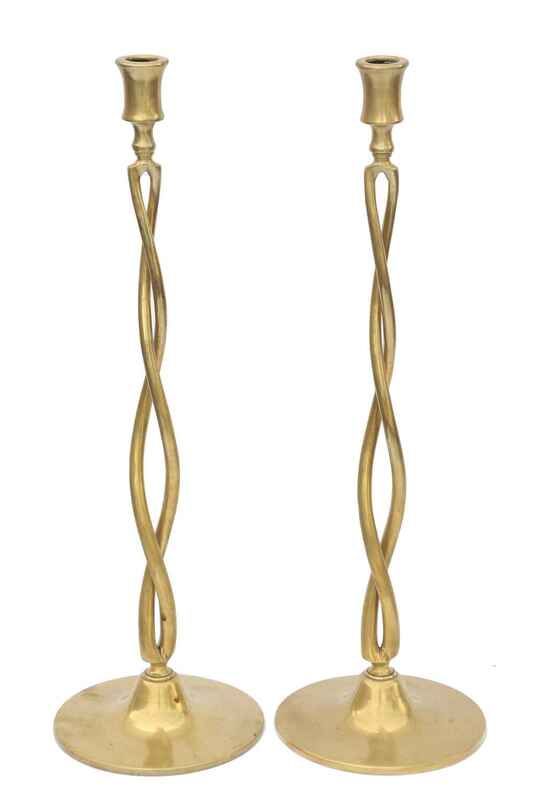 Pair of tall brass candlesticks, each having pierced braided column raised on round weighted base. Pair of tall brass candlesticks, each having pierced braided column raised on round weighted base. CONDITION: Excellent.